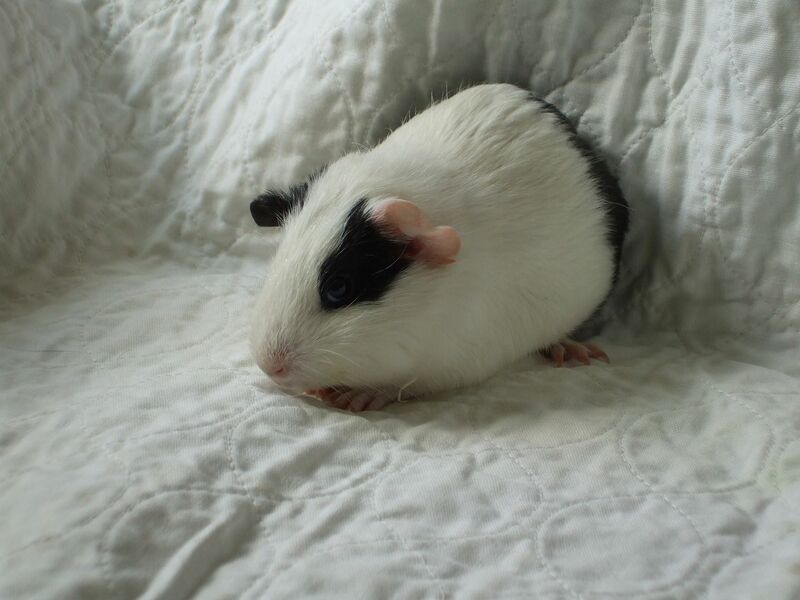 A Maine shelter had a major influx of guinea pigs (73 to be exact, including several that were pregnant). Mainely Rat to the rescue! We took in 9 piggies. 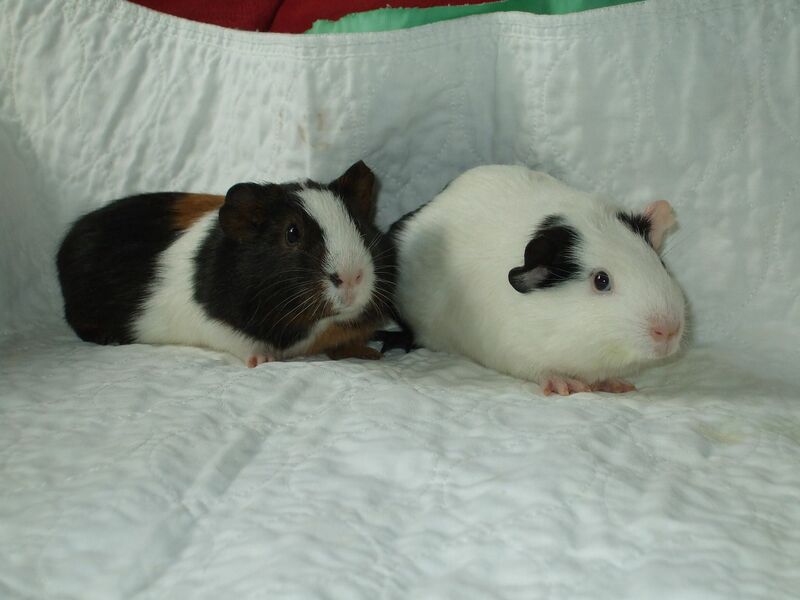 These two dudes are being fostered by Sandra in Limington, Maine. UPDATE 4/27/15: They are awesome! They were voracious when first brought them home but they’ve started to be pickier about their food which is good. My fridge has more pig food than people food! I set up a large exercise area for them which they are getting used to and I’m working on finding a way to calm them before picking them up, seems like they like to be covered with a towel first and they aren’t as scared once that are on my lap. 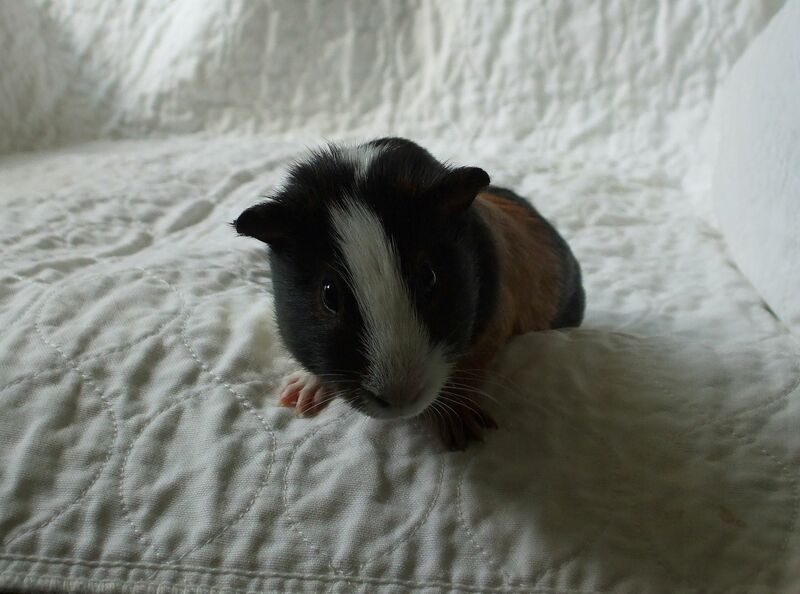 UPDATE 3/13/15: “Cowboy: This tri-coloured little guy has an abundance of both cuteness and energy. Getting him to snuggle can sometimes be a challenge because he is “Yippee-Kai-Yay” and play, play, play almost all of the time.